Your roofing material can affect your home's energy efficiency and overall security. Metal roofing is known for its durability and longevity, and there are several advantages to choosing aluminum roofing for your home. While metal roofs, aluminum roofs, and tin roofs are referred to interchangeably, there are a few key differences between these terms. Due to its excellent resistance to corrosion, aluminum roofing is often used for coastal homes that experience large amounts of moisture and salty spray. Aluminum roofing is usually available as interlocking aluminum shingles or as standing seam panels. Interlocking shingles are connected on all four sides and will provide a strong, sturdy barrier against rain, wind, and other harsh weather. Standing seam panels can be fastened or clipped together underneath for a smooth, seam-free look. 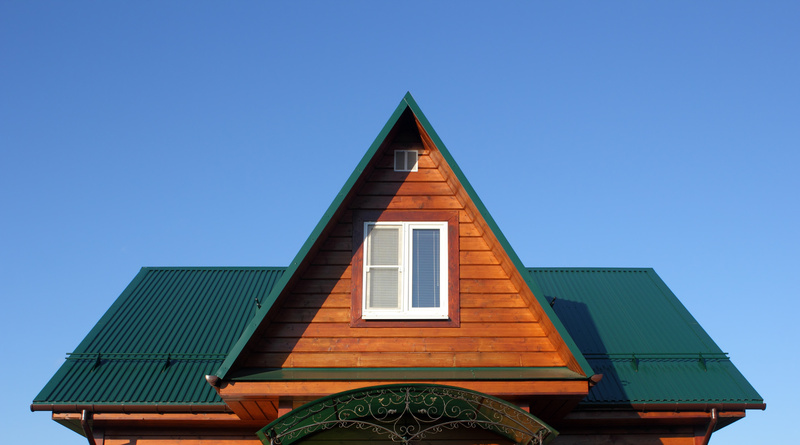 Read on for more information about the pros and cons of aluminum roofing. Prices for aluminum tend to fall in the middle of the metal roofing cost spectrum. Aluminum roofing shingles or panels cost, on average, between $265 to $375 per roofing square. Depending on the size and shape of roof, as well as the grade of aluminum that you choose, the overall costs for a new aluminum roof will fall between $9,000 and $17,000 including labor. Many people wonder why aluminum roofing is so expensive, and the answer to this question is that aluminum is an incredibly durable material with a long lifespan. If it's installed properly, you can expect your aluminum roofing to last fifty years or more with very little maintenance. As a comparison, asphalt roofing is cheaper than aluminum but often needs to be replaced two or three times throughout its lifetime, which will lead to higher costs in the longterm. Aluminum roofing is also one of the most lightweight materials for roofs. Despite its lightness, this material is also very strong and can withstand harsh weather, like coastal storms, and is resistant to corrosion and leaks. Also, while aluminum is strong, it's more malleable than steel and so works well for homes with complex roof structures. Aluminum is very energy efficient. Aluminum roofing reflects light and emits heat, so it is extremely cool and will keep your air conditioning costs down during the warmer months. Additionally, most aluminum roofs come with cool roof coatings that meet LEED and Energy Star standards. Aluminum roofing is less insulating than other roofing materials. This can often be remedied through roofing systems that utilize dead space between the aluminum and the roof deck. Aluminum can be slippery, so it's important to make sure that your roof is completely dry before anyone works on it. Aluminum is also less fire resistant than steel or copper. Though there are some disadvantages to aluminum roofs, particularly if you live in an area that requires fire-resistant or ultra-insulating roofing, this material is a solid choice. Though aluminum roofing costs more up front, it will cost you less in the long run, lasting for a full generation or more. To learn more about aluminum roofing and find a quality roofing contractor for your home, check out our database of professionals in your area.